A T-Mobile customer has accused the company of removing his posts and banning him from the company's online forum for complaining about the loss of personal data on his Sidekick handset. "T-Mobile banned me from their forums because I was voicing my opinion about their outage and suggesting customers contact the Washington State Attorney General's office," said Richard Anderson in his blog about the data loss. Anderson describes himself as a "business owner who lost 300+ contacts, 30+ tasks, 20+ notes and countless reminders on his Calendar that will take countless hours to rebuild." "This was my business tool, now everything I've collected over the past 4 years is gone. Gives me a headache just to begin to think about how much potential income has already been lost in these 2 weeks." Contact T-Mobile's Legal Department. People are yelling breech of contract, which this is not. However, this is definitely negligence on the part of T-Mobile. T-Mobile Wireless, Legal Department, 12920 SE 38th Street, Bellevue, WA 98006-1350. Contact The Washington State Attorney General's office at http://www.atg.wa.gov/ ... this will file an official complaint with the state of Washington. They will put pressure on T-Mobile to answer you with satisfaction. Contact your own state's attorney general. They will have less power than the WA state attorney general, but log a complaint anyway! T-Mobile owns stores in every state even though they are headquartered in Washington. Anderson said some customers are getting better offers of compensation that the company has offered online. "Many people have called T-Mobile, frustrated, because T-Mobile is not offering anything beyond a free month despite the damages we suffered from their negligence," Anderson wrote on his blog. "I have seen some people satisfied with an offer of $149 for a new MyTouch phone if they signed another 2 years. Why would you pay another $150 and agree to 2 more years of service with a company that just lost all of your data? So where do you go from here?" While Anderson does not mention it, there is one more place that T-Mobile customers will likely be offered a chance to go: Into a class action lawsuit against the company, probably also naming Microsoft, which appears to have actually lost customers' data. No lawsuit as appeared to have been filed as yet, but once is almost certain to appear as angry customers seek compensation. 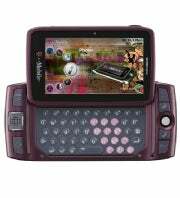 Microsoft manages data storage for the Sidekick, which is manufactured by a company called Danger, which is owned by Microsoft.